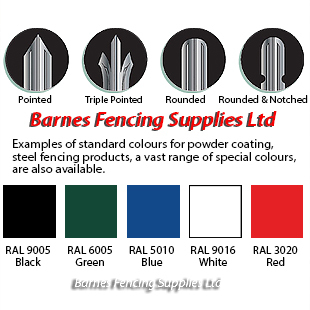 to your requirements, in design, colour, size and galvanised, painted finish. 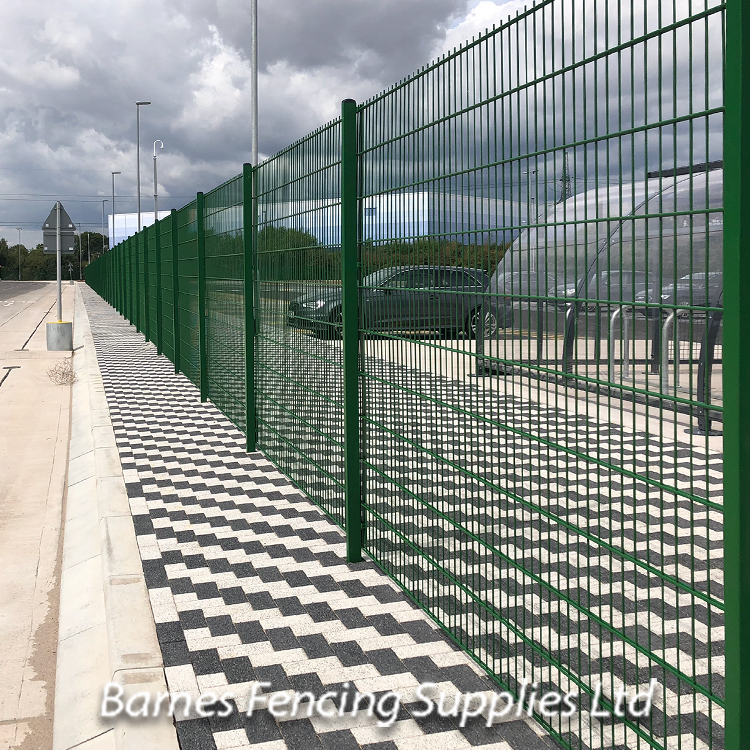 The V-GUARD Mesh and Twinguard Rigid Panel, Bow Top Railing Security Fencing, systems is suitable for most applications were general site demarcation is required. 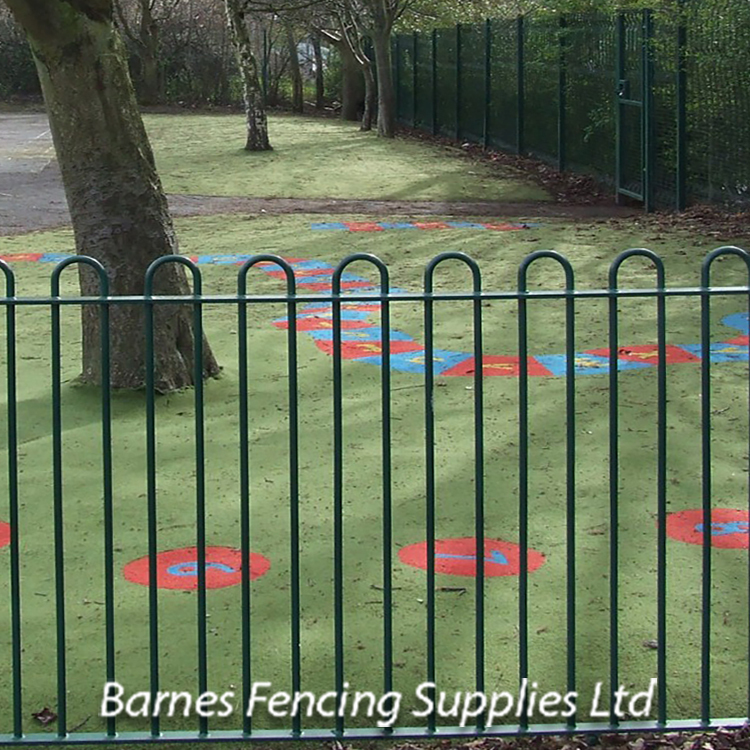 Typical examples: Schools, public areas, commercial businesses and retail outlets. 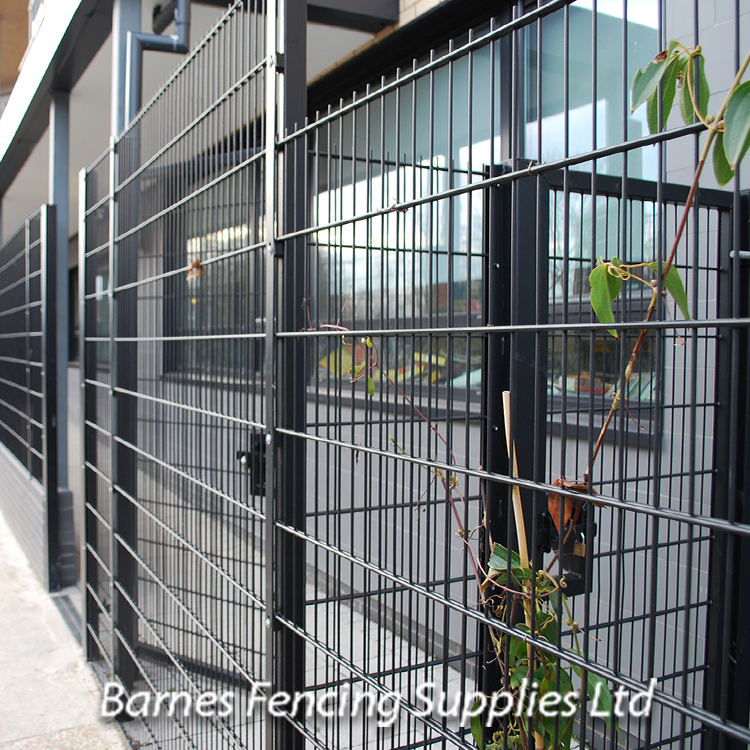 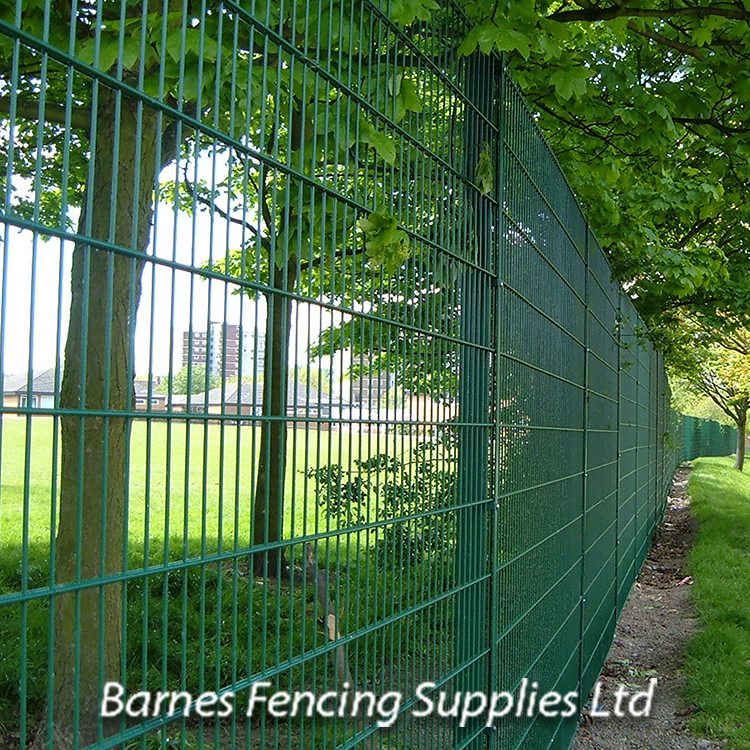 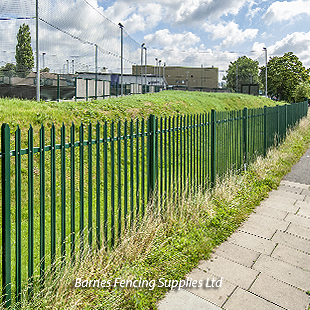 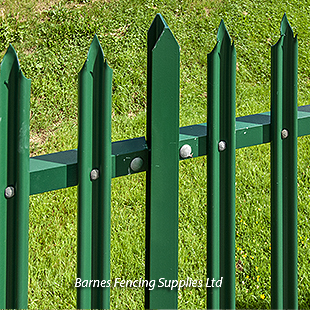 Barnes are Fencing Supplies, Fencing Contractors and Installers of all types Security Fencing. 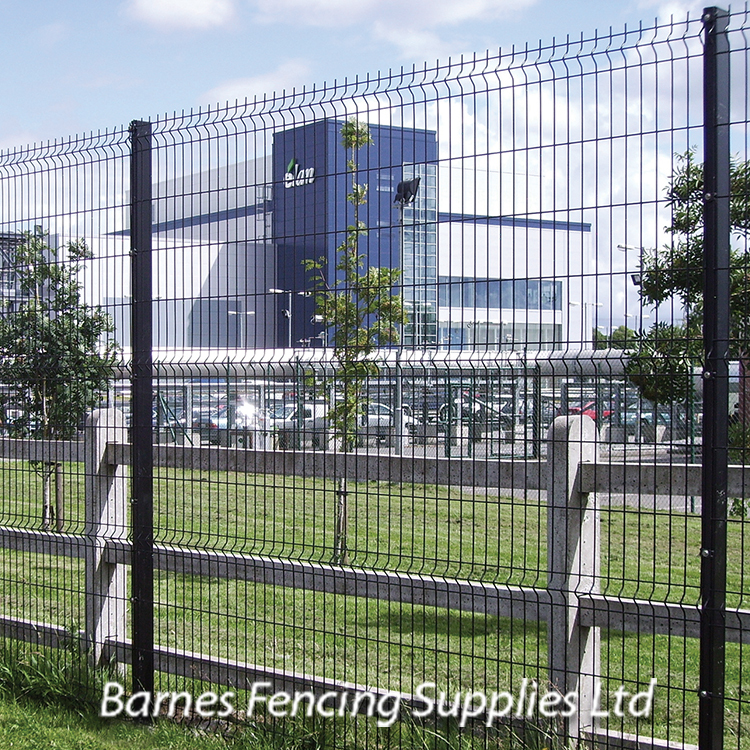 Palisade Fencing provide a high level of security which is a permanent security fencing system has great strength and longevity and the most traditional form of security fencing for Industrial sites, schools, commercial businesses. 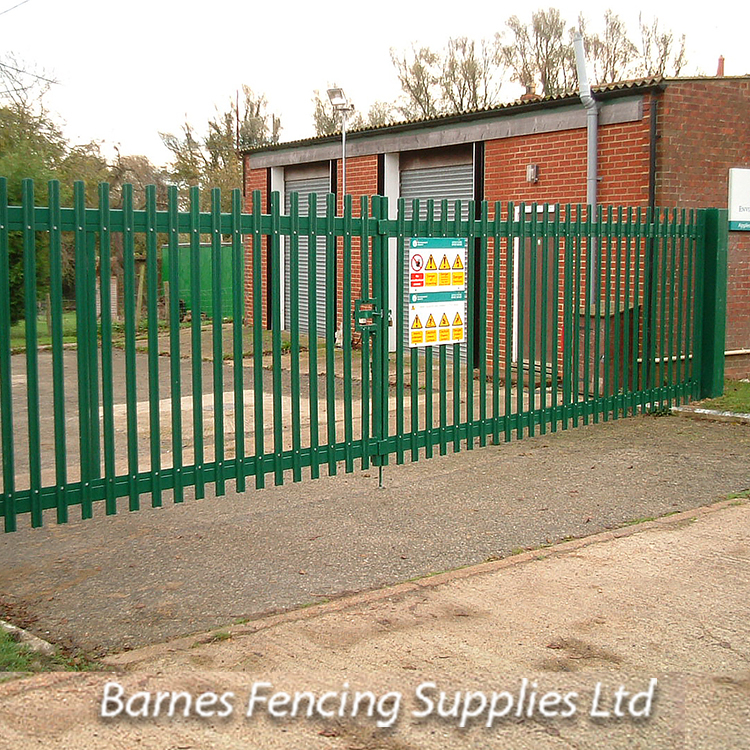 By installing a steel Palisade Security Fencing system around the perimeter of a site, premises can be kept secure at all times as it’s robust construction and intimidating appearance works as an effective intrusion and theft deterrent, also functions as effective boundary, comes in Galvanised Steel and with additional polyester powder coated paint colour finish you require.